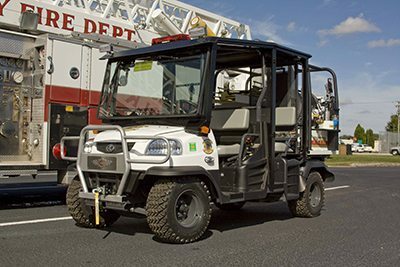 Some of their more well-known vehicles include the QuickForce™ Quick Attack Fire Truck, WildForce™ Wildland / Brush Truck, and Assault Force 70™ Fire-Rescue Rough Terrain Utility Vehicle. If one product in particular drew us to the EJ Metals brand, it would be their stand-alone Ultra High Pressure Firefighting skid units. Available in 1,500 PSI to 3,000 PSI, these systems are simple to operate and meet a number of fire/rescue and industrial applications. Since they are a high-pressure, low volume portable skid unit, they can be mounted on smaller rough terrain vehicles, rescue vehicles, and even pickup trucks, enhancing their versatility. There is also an option for hydraulic power for use in rescue tool operation. When a customer is searching for a special application outside of a conventional fire apparatus, we are pleased to offer them a wide selection of vehicles from EJ Metals. We understand that not everyone fits the cookie-cutter mold, and unique applications call for a custom vehicle. 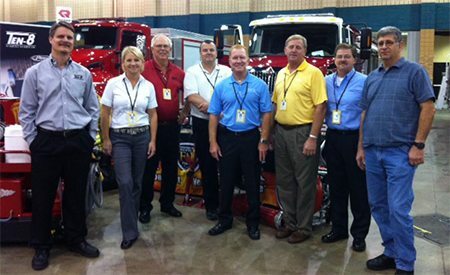 Our sales team will work with your department or company to build the perfect apparatus to meet your needs. Whether you are a fire department looking at a Kobota RTV for special events, or an industrial company searching for the right fire truck for your plant, we will work with you and EJ Metals to find the right solution. If one of their standard specialty products does not suit your requirements, we will help you custom design a vehicle that fulfills your specific requests. Let our experts work alongside you and EJ Metals to choose the right features and design for your specialty fire truck. One important element to consider is the ability to integrate the high pressure foam system and hydraulic tool circuit into the vehicle, an option available on EJ Metals’ vehicles. This simple-to-operate setup is reliable and dependable, making your job easier in the long run. In addition, Ten-8 dealer service and support after the sale will ensure your EJ Metals vehicle is running in top condition for years to come. If you are interested in learning more about an EJ Metals specialty firetruck from Ten-8 Fire Equipment, contact us today. Our knowledgeable sales representatives are ready to serve you!